Inspired by Universal’s original cinematic Monsters and the studio that invented the horror film, Universal Studios Hollywood unearths an all-new “Halloween Horror Nights” maze based on the original “Universal Monsters”…with a terrifying contemporary twist on these classic horror icons. The new maze will also feature an original score produced and composed by celebrated GRAMMY® Award-winning musician SLASH, long hailed as one of the 10 best electric guitar-players of all time. 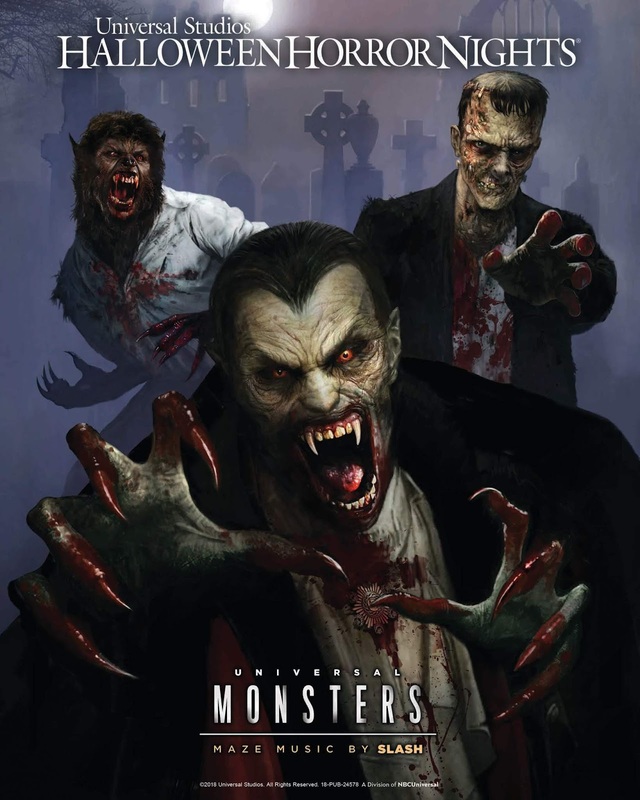 At a glance, resurrected monsters will include The Wolf Man, The Invisible Man, The Phantom of the Opera, Dracula, Dracula’s Bride, Frankenstein’s Monster, The Bride of Frankenstein and The Mummy, to name a few.